Posted in News on April 7, 2016 by Sports Video Group. 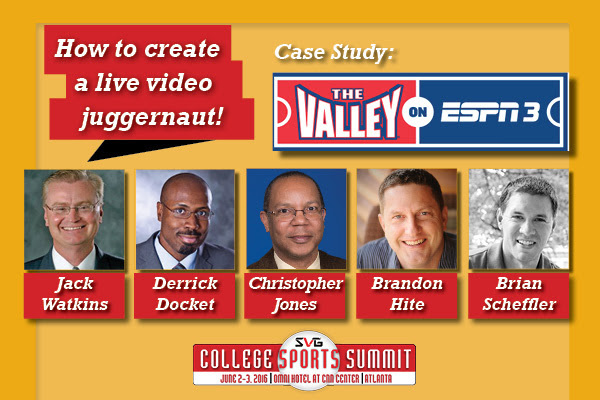 This year’s SVG College Sports Summit boasts a fully-loaded program to address a wide-array of sports video production challenges and opportunities, including in depth looks at social video and engagement strategies with Clemson University, the development of the new Missouri Valley Conference-wide digital network, “The Valley on ESPN3,” and how Lafayette College hosted an elite neutral site event with a focus on in-venue video entertainment at Yankee Stadium. 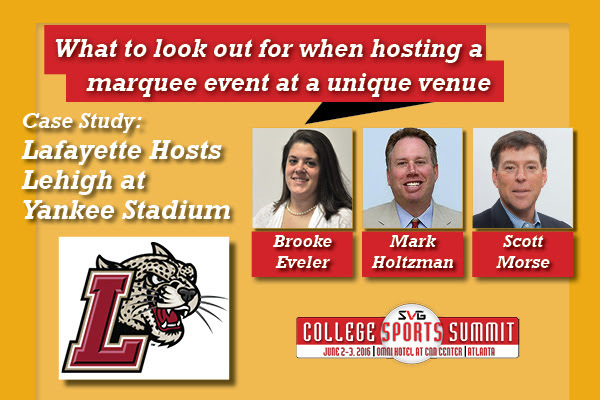 The SVG College Sports Summit is less than two months away. 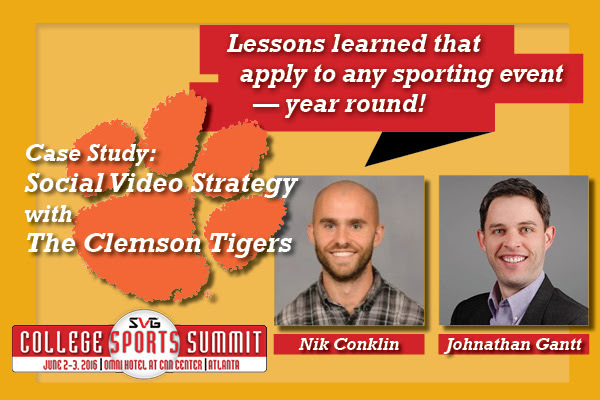 Don’t miss out on your chance to come and be a part of the largest professional development and technology conference dedicated exclusively to the college sports video industry.